Natalia is the Physical Therapy Manager in Ridgefield, CT. She has over 10 years of experience as a physical therapist treating patients in the areas of outpatient orthopedics, sports medicine and geriatrics. She is a former professional ballet dancer and received her Bachelor of Science in neuroscience from Columbia University (2001) and her Master of Physical Therapy from Hunter College of the City University of New York (2005). She has completed extensive course work in manual therapy which she incorporates in her treatment sessions. 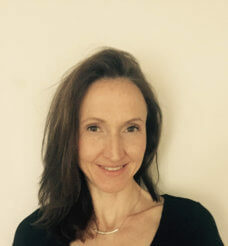 She has also had course work in Pilates and is experienced with rehabilitating dancers, runners, as well as those with other sports related injuries.